It is 10 days right now. Mainly because we need to distribute the ones with no deadlines over a certain period. 10 days seams like a reasonable interval into the future (excluding weekends, that’s actually two weeks). I’m with Daniel. I love this feature! I agree that being able to see even further out would be ideal. We plan projects several months in advance, and being able to see who on the team has the capacity to take on more is huge benefit. This sounds like a good feature. 1. can time worked and logged be reported by date, similar to the way your ‘Daily Workload’ report works? 2. I noticed weekends are not filtered in durations. is there a calendar function for resources that would make weekends non-work days? 1. There is no report that lists time by each day. But you can run the Time Report for any particular singular day as well. 2. 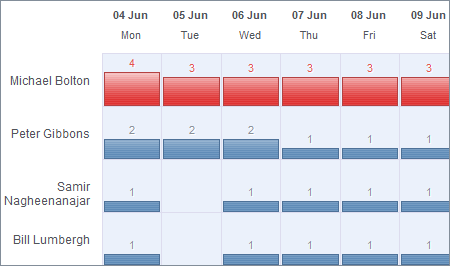 You can exclude weekends from Daily Workload Report. Next post: New feature: “Add Team to all open tasks”.